Project three of catching up on blog posts. This craft was a spontaneous one that I did on Wednesday night when I realized I had all the parts for it already. 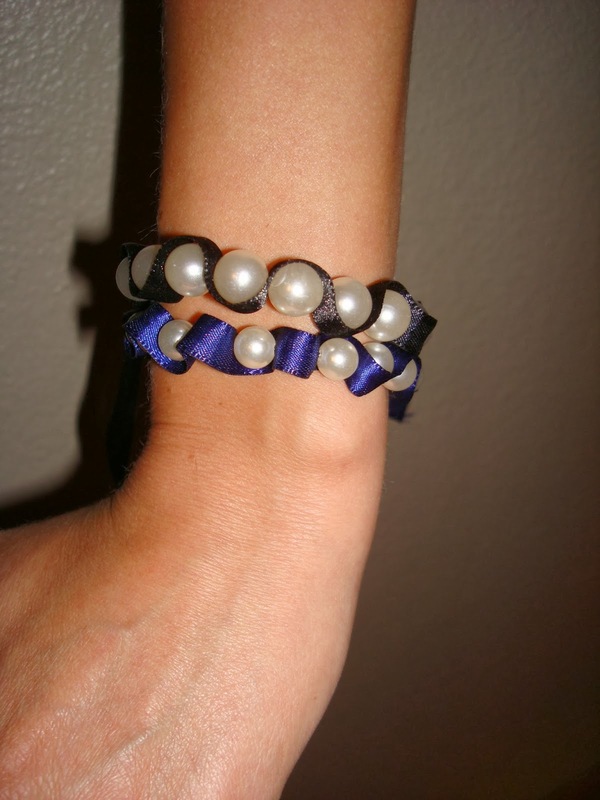 Cut enough ribbon to tie around your wrist, and tie a knot about 1 inch from the end. Then take the wire and push it through the ribbon on the side with the knot. Put a pearl on the end of the wire and wrap the ribbon halfway around the pearl and push the wire out the other side of the pearl. 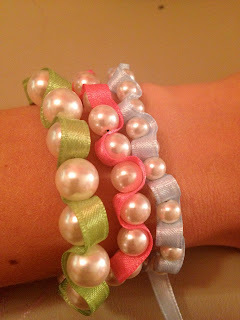 Continue adding pearls and ribbon until the it is long enough to wrap around your wrist. Finish with another knot on the end and curl the wire with pliers. I live in Colorado, an event planner by day, I love crafts and I aspire to be a better chef one recipe at a time.